jajajaja, muy buena idea xD y mas encima reclamar al proveedor, si que las pensÃ³ todas! Jajaja, si, asi se los quita de encima por completo. Muchas gracias. Aun faltan un par de detalles, pero ahi la llevo. That. Is. BRILLIANT! Not something you’d expect from Wyliman. I wonder if our real life fellas have tried something like this. I guess when he’s pushed enough, he gets good ideas out. 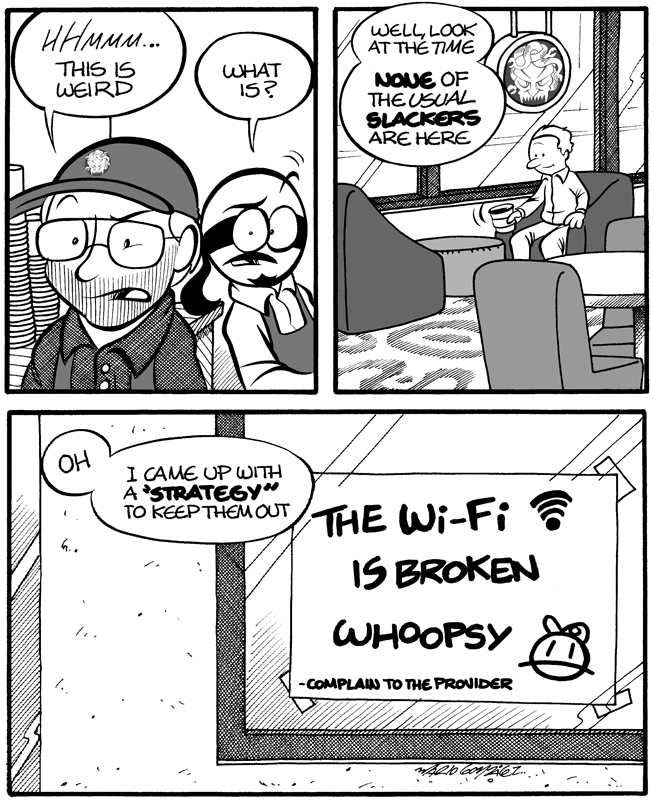 I’d totally try it if I worked at some place like that. Jajaja, no, mejor que no se enteren en corporativo donde tienen esa mentalidad de crear una “experiencia” para los potenciales consumidores. Ha! That’s the best one yet. That way they can’t pretend to be writing a book (or a play or scripting a movie) but actually surfing the internet. Indeed, they can do that at the privacy of their own houses. And it’s not like the coffee is good to just hang around drinking it.